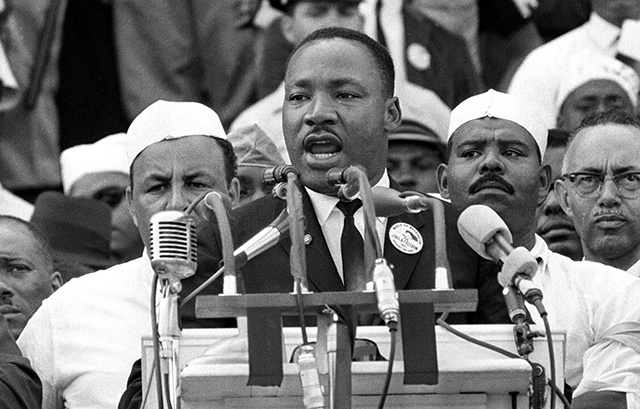 Today is Martian Luther King Jr. day. Racism was never something I knew growing up. I was fortunate to grow up in a family that molded embracing people who were different than me. At out family dinner table we ate with people from India, Africa, Europe, Central America and Canada. We also regularly had widows, handicapped people and bachelors as guest. But until recently, I only knew Martin Luther King Jr. day was a just a bank holiday. I didn’t know how to celebrate it. I knew Martin Luther King Jr. was a courageous American who gave his life to end racism in our United States, but I didn’t know how to celebrate the holiday. Last year I read something that got me excited and I got a vision for how to celebrate Martian Luther King Jr. Day. The idea is that since the day is in honor of a man who strove to end racism, I could celebrate the day by crossing the line and doing something with and/or for someone who is different than me. Different for than me could be age, ethnicity, culture, social standing, or religious beliefs. We could do anything together: play a game, watch a movie, go to lunch, work on my car, or share a soda. It is not about me being a hero. It is about me valuing a relationship with another human who is different than me. All people are valuable because all people are created in the image of God. Martin Luther King Jr. day reminds me of Jesus’ story of the good Samaritan who rescued a racist man dying on the street. It also reminds me of how he came to down to earth and took the punishment for out sins while we were still his enemies. I hope you all have a very special Martian Luther King Jr. Day.